The goal of top elk hunters is not to chase after elk, but to attract them close enough for a good, ethical shot. And the key to that is calling, and to an elk hunter that means bugling. But not all elk bugles are created equal. Some are made for a certain purpose and, like any product, may vary in quality and ease of use in producing authentic sounds. Here are three elk bugles recommended by experts. An innovative made-in-the-USA bugle tube with built-in baffle that allows you to quickly, easily adjust the call volume, creating the illusion of an elk on the move. The Big Bully “is a very versatile elk call,” said FOXPRO Pro Staffer Al Morris. Use it with the included single-reed diaphragm call (or any diaphragm call) or the external latex mouthpiece to create different sounding bugles. “The best part is anyone can make good quality elk sounds with it,” Morris said. “And my No. 1 sound is medium to small bull bugles along with estrus cow calls. Elk have a pecking order, and mature bulls won’t tolerate young bulls breeding cows.” The internal baffle, Morris said, lets you change pitch and volume, creating the illusion of moving further away, which can entice bulls to move in to close the distance. “It really is a versatile call that you can manipulate to fit most elk calling situations,” he said. See the Big Bully and other calls at gofoxpro.com. Wayne Carlton is a pioneer and innovator in elk calling. His Mac Daddy Bugle has been called the easiest call for anyone—from beginners to experienced hunters—to use to make elk bugles and nasal cow calls. The system is simple, with an Infinity Latex mouthpiece with removable baffle and removable grunt tube. Use the baffle to tone down volume for close-in calling. “In today’s hunting world, it’s imperative to not limit folks to being able to get in the field,” said Tony Mehrl, Trade Marketing Manager. “This is how to grow hunting as a sport and pastime—by getting new hunters into it. Because of this, we have several calls in our Carlton’s Calls line that are extremely realistic sounding calls, yet are very, very easy to use.” Check them out at hunterspec.com. The Bullet Bugle, compact and easy to carry in the field, is “my all-around favorite,” said Will Primos, founder of Primos Hunting. “It’s small for carrying and packing but produces great volume.” The patented mouthpiece and Support Shelf with Primos’ Blue Reed allows anyone, from novice to expert, to easily reproduce realistic bugles, cow calls, and importantly, produce variable tones. Plus, the Blue Reed is made from silicone, so it won’t degrade like latex reeds, and it needs not stretching, Primos said. “You can use your lip or tongue on the Blue Reed to produce a full range of cow and bull sounds,” he adds. The design itself came from the elk-calling competition stage, where authentic sound is critical. The soft, flexible sound chamber helps amplify sound and lets you carry it quietly through the woods. To check out the Bullet Bugle, visit primos.com. We’re sticking with Wayne Carlton here not just because he pioneered diaphragm calls for elk calling, but because this innovative call makes it easier for beginning (and veteran) elk hunters to blow a diaphragm call. Diaphragm calls can seem intimidating but aren’t that hard to learn, and this call, with its built-in sound chamber—which they call the tone trough—allows you to recreate authentic elk sounds, such as high-pitched bull bugles and nasally cow calls, with less air pressure. 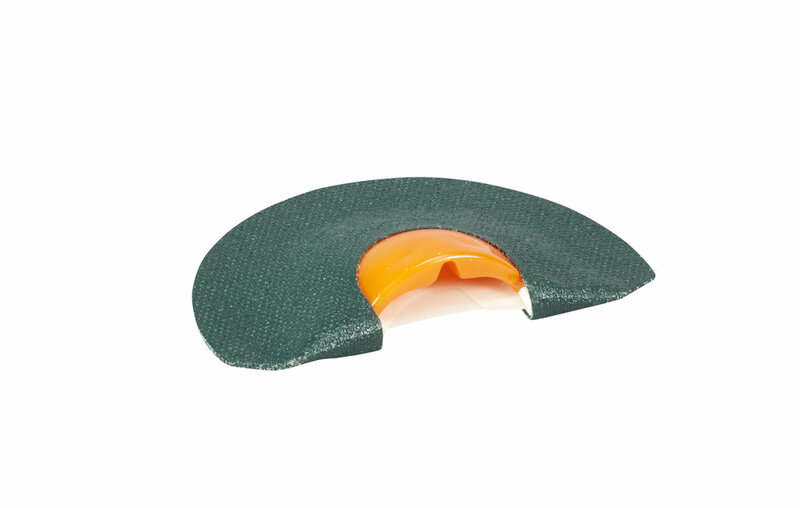 Made with their durable Infinity Latex and Premium Flex frame for comfortable, consistent fit, another important aspect of diaphragm calls.